Mike Ullery | Daily Call Environmental Occupations students from the Upper Valley Career Center get experience behind the wheel of a combine as they take in corn from one of several fields on the Career Center property on Friday. Students took turns taking in corn and transferring the grain to a nearby semi. 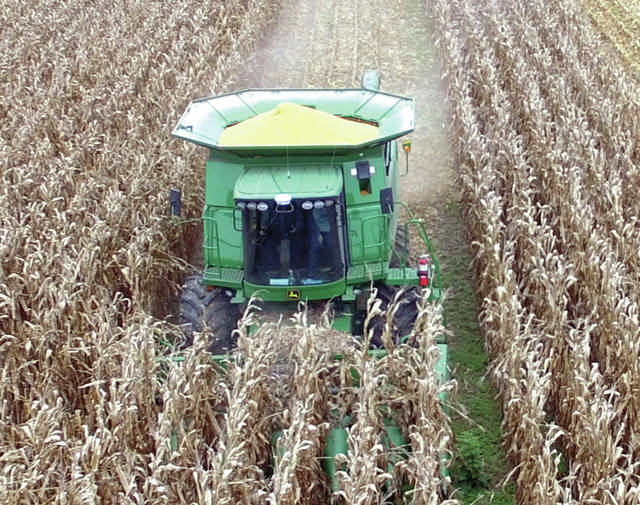 Environmental Occupations students from the Upper Valley Career Center get experience behind the wheel of a combine as they take in corn from one of several fields on the Career Center property on Friday. Students took turns taking in corn and transferring the grain to a nearby semi. 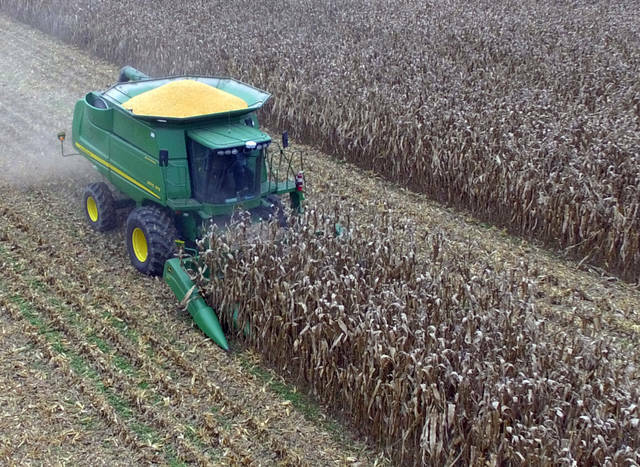 https://www.dailycall.com/wp-content/uploads/sites/30/2018/10/web1_100518mju_uvcc_corn.jpgMike Ullery | Daily Call Environmental Occupations students from the Upper Valley Career Center get experience behind the wheel of a combine as they take in corn from one of several fields on the Career Center property on Friday. 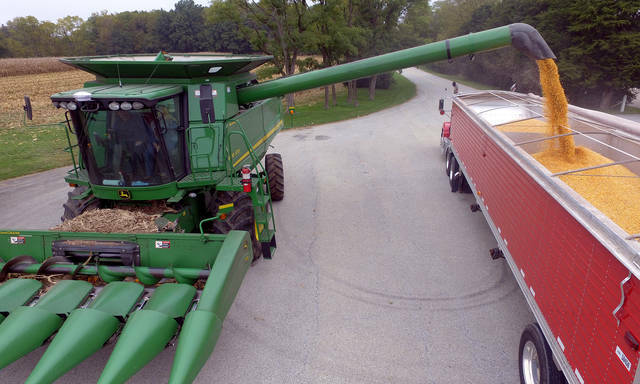 Students took turns taking in corn and transferring the grain to a nearby semi.